We employed Eric Carle's technique of cutting painted paper for this project. 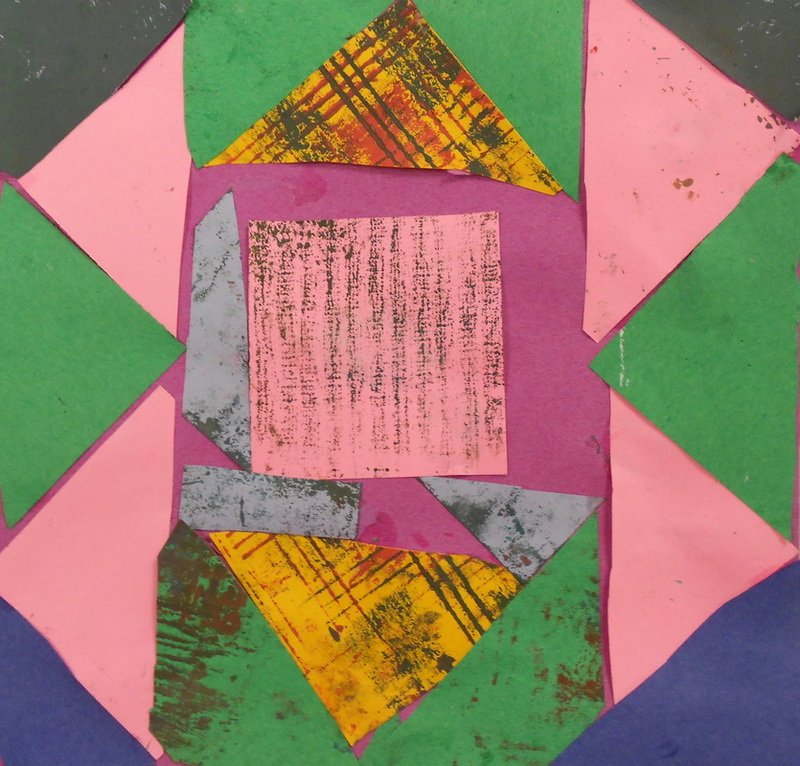 Students experimented with color mixing to create these beautiful textured papers. 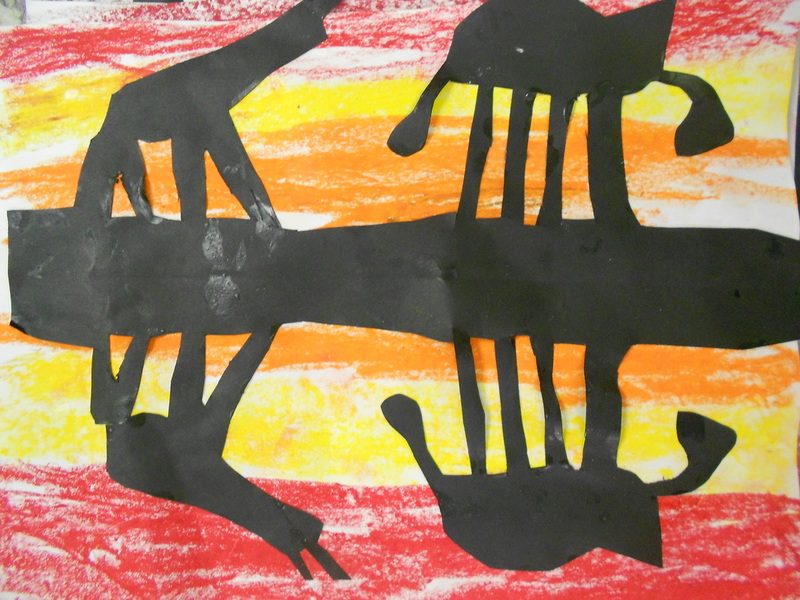 Then after reading Eric Carle's 'Mixed Up Chameleon' students designed their own mixed up animal with inventive and unusual body parts. 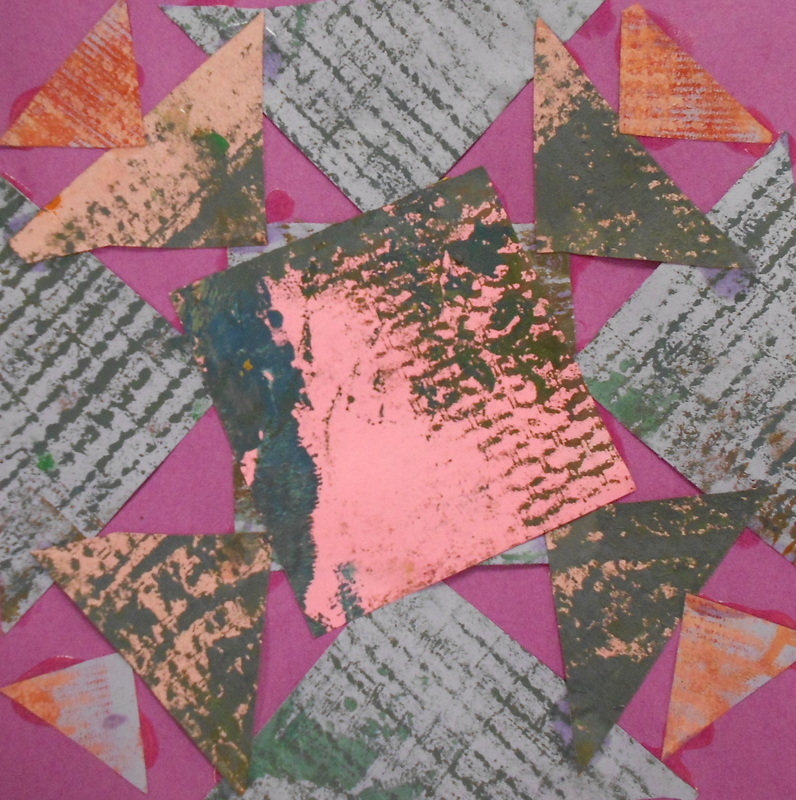 Students used textured items from the classroom to print patterns on paper. Then they used a little geometry and math to create symmetrical patterns. 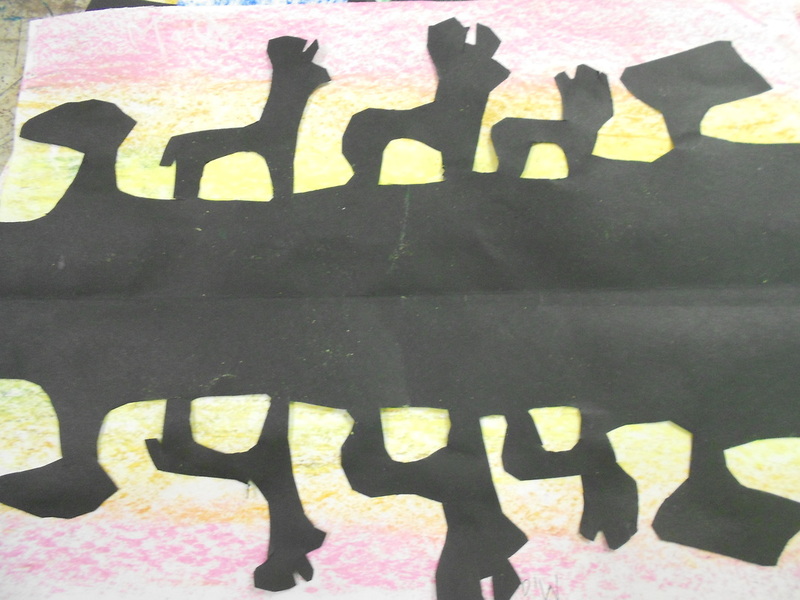 Students studied the shapes of African animals and trees. 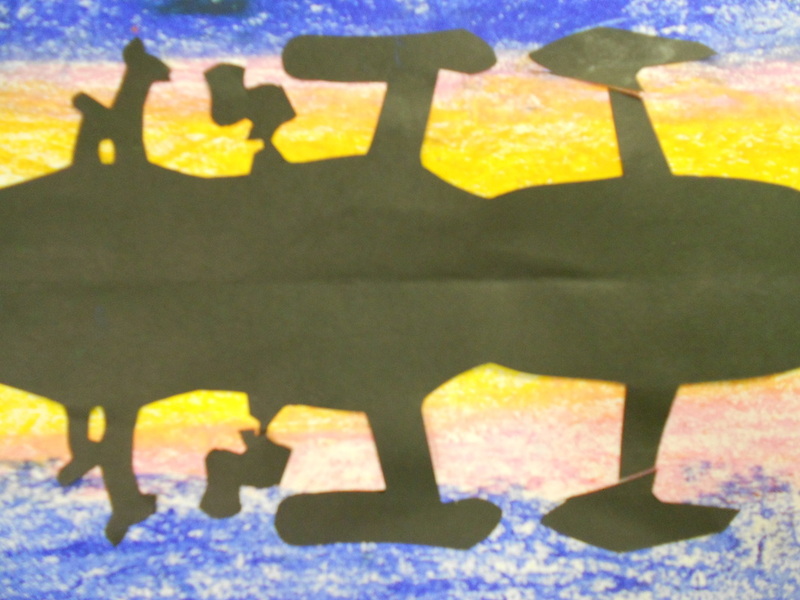 Then using symmetry and folding techniques they created the reflections of silhouettes against a sunset in the background.